Deforestation in Indonesian to make way for a palm oil concession. AS I was reading the above article, a spangled drongo flew into the closed cabin door. I thought it would die but 5 minutes later it recovered and flew away. 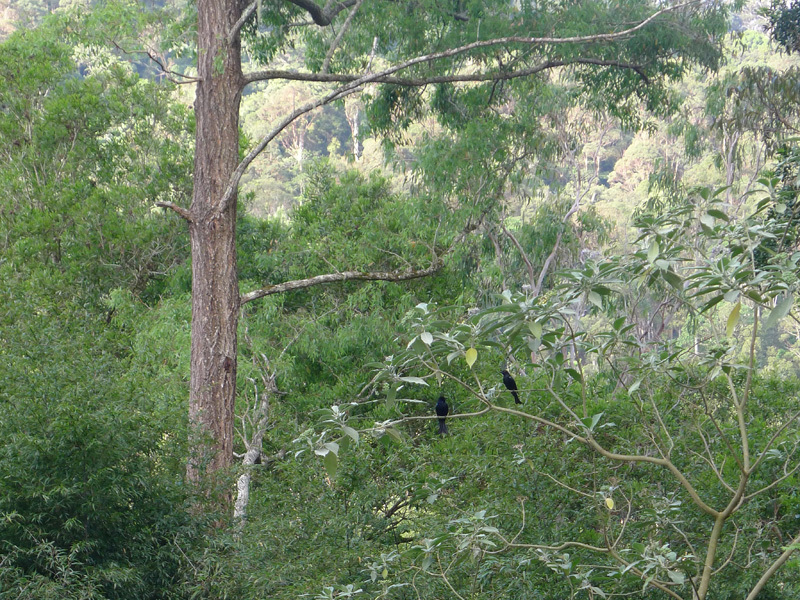 The drongos ( fish-tails ) are back in numbers. Their sound is always telling us its october as their aerobatics are thrilling to watch. At last a heavy shower of rain and after I have spent the morning transplanting lettuces and tomato. now a spurt of growth and seedlings emerging benneath where the parent plant seeded.